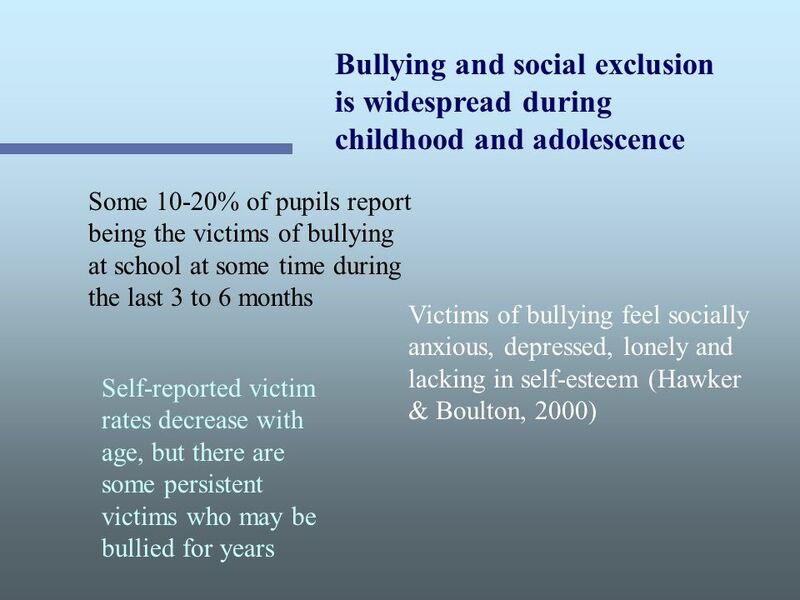 HOW PUPILS COPE WITH BULLYING: A LONGITUDINAL STUDY OF SUCCESSFUL AND UNSUCCESSFUL OUTCOMES Lorenzo Talamelli 1, Peter K Smith 1, Helen Cowie 2, Paul Naylor. 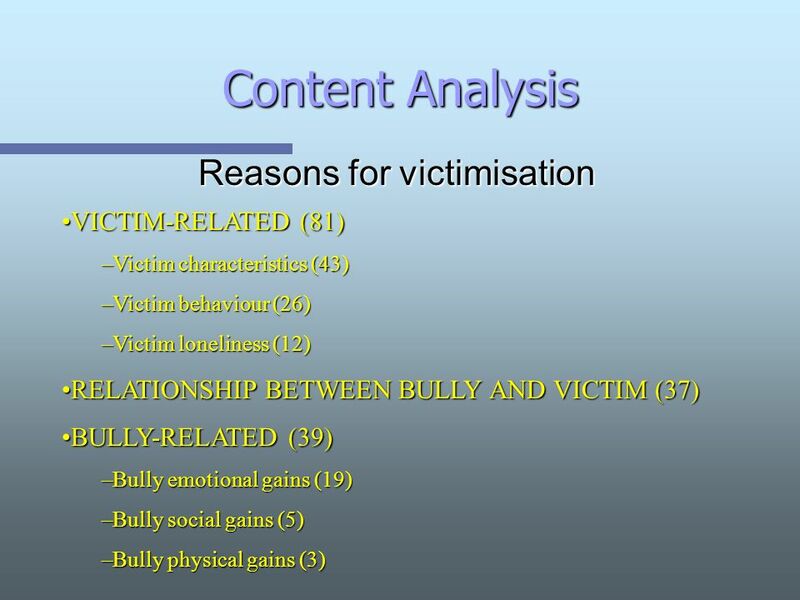 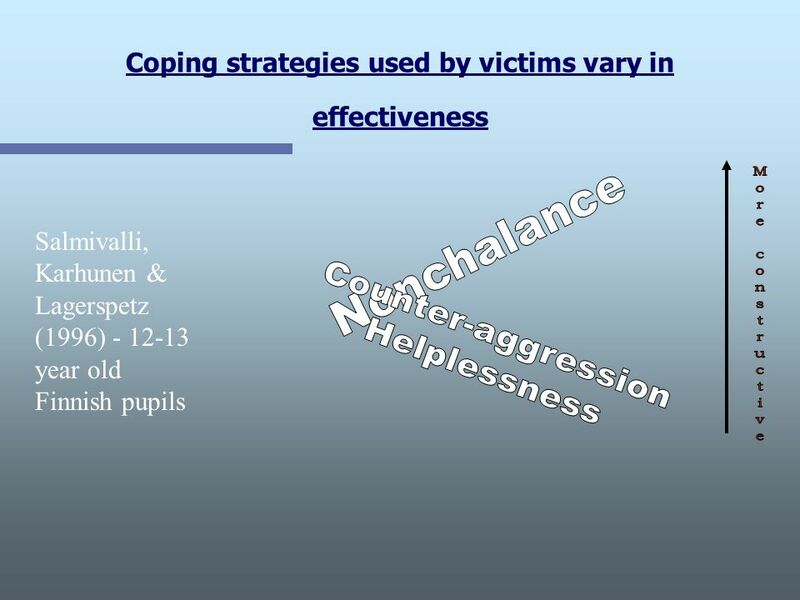 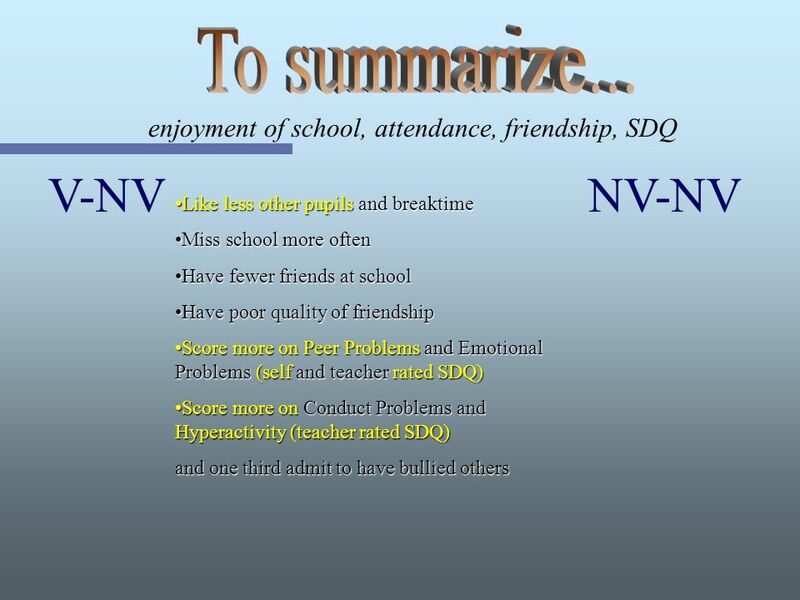 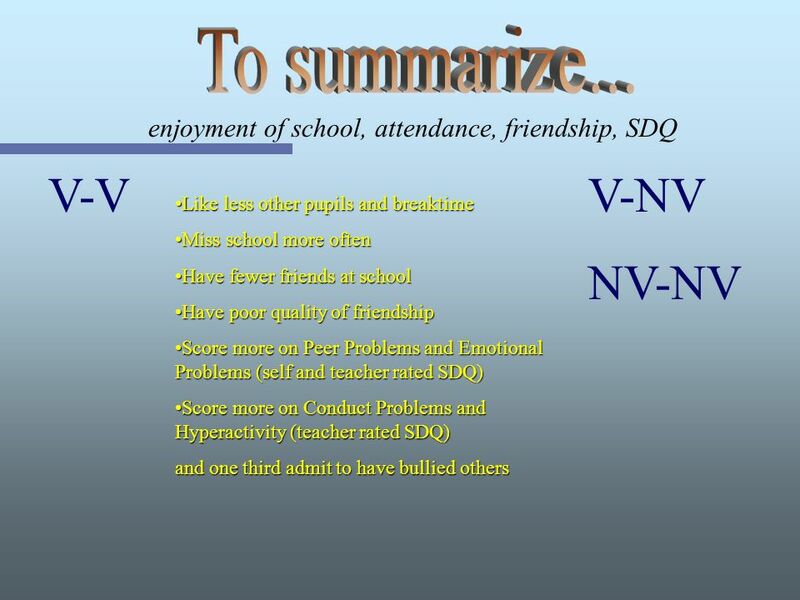 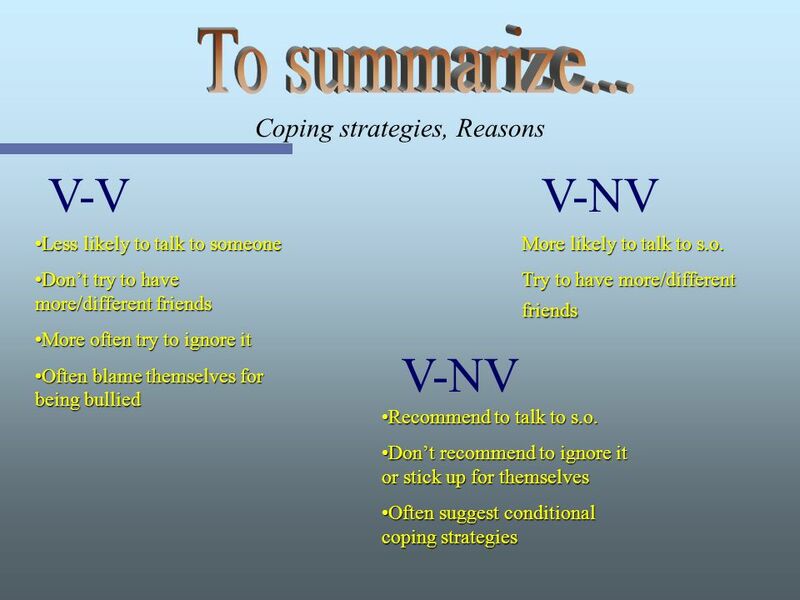 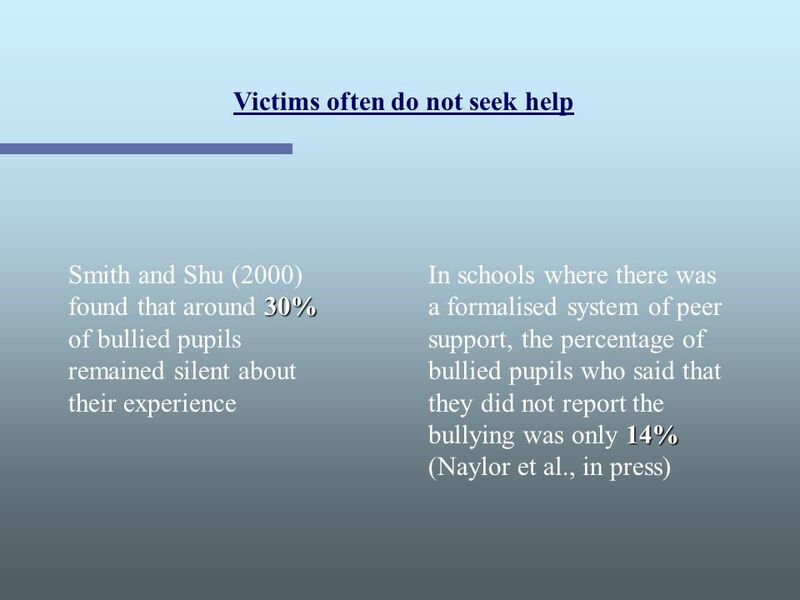 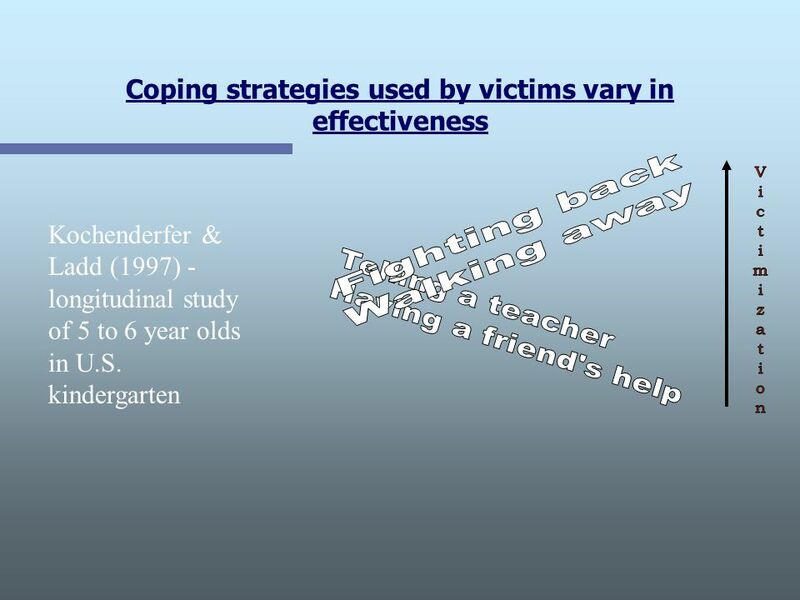 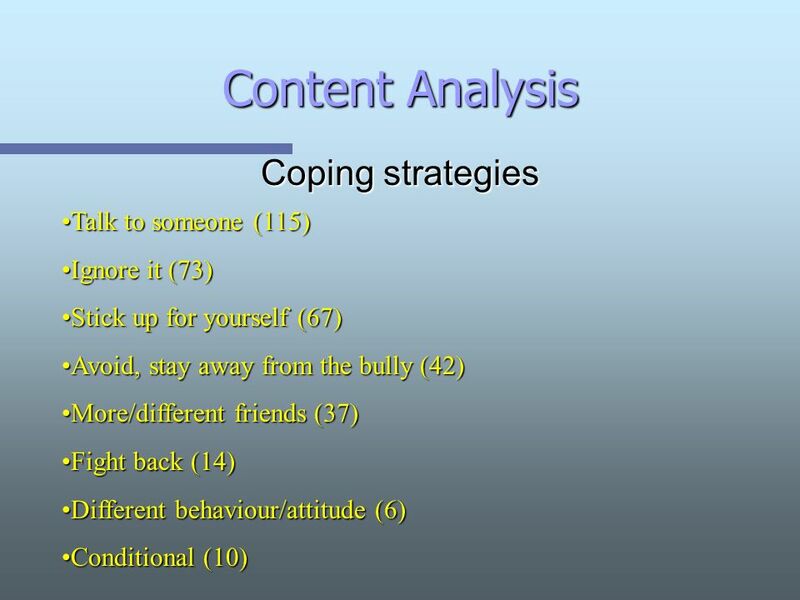 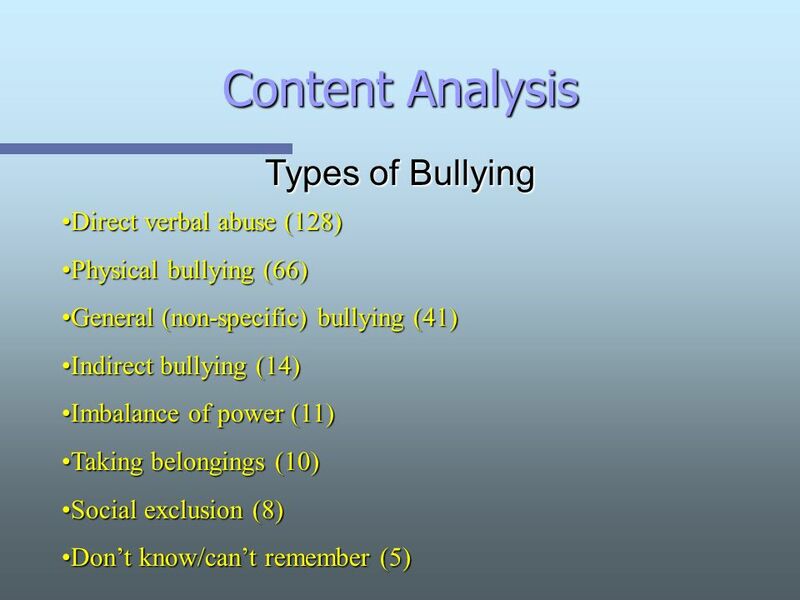 Download ppt "HOW PUPILS COPE WITH BULLYING: A LONGITUDINAL STUDY OF SUCCESSFUL AND UNSUCCESSFUL OUTCOMES Lorenzo Talamelli 1, Peter K Smith 1, Helen Cowie 2, Paul Naylor." 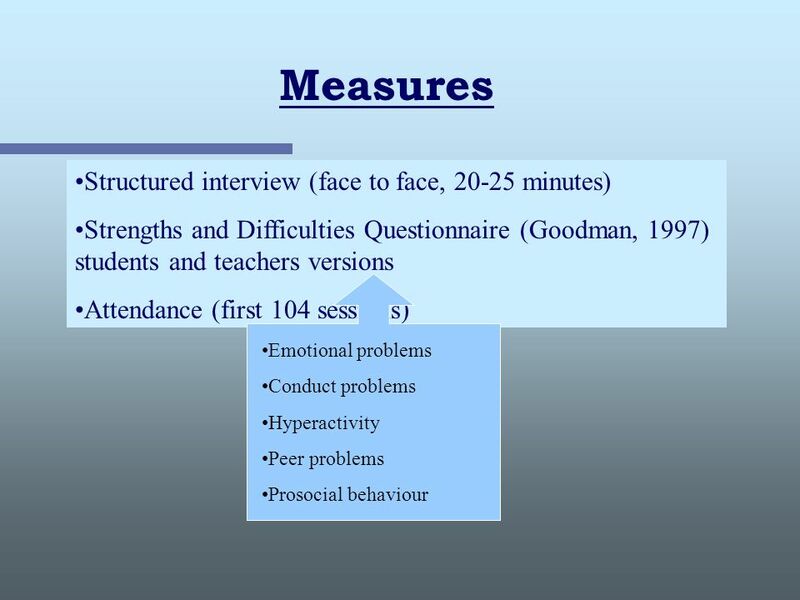 The Student Psychological Health Project: Research Findings from the University of Leicester Annie Grant Director, Educational Development and Support. 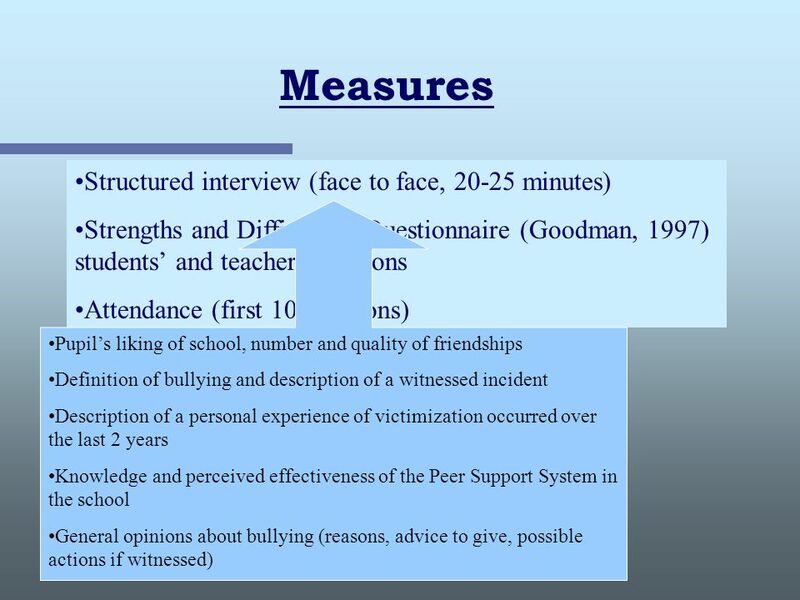 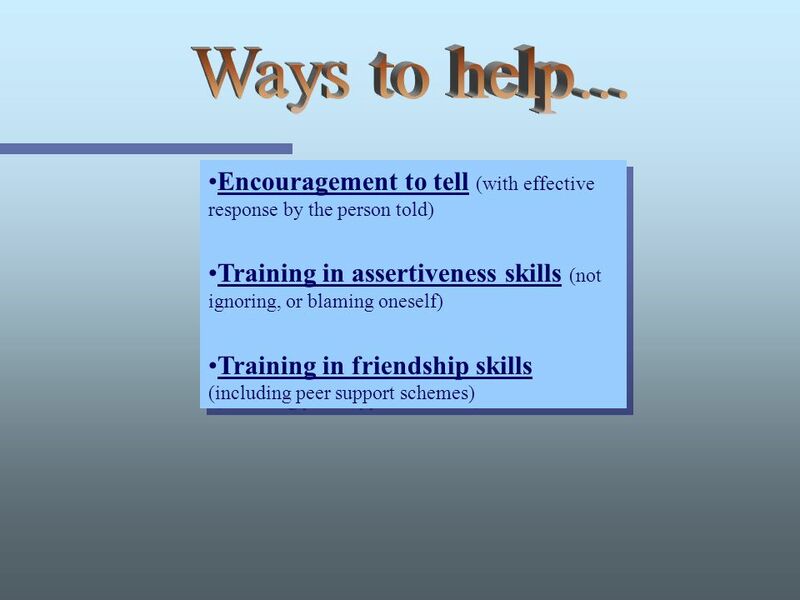 Is Domestic Abuse Prevention Education Effective? 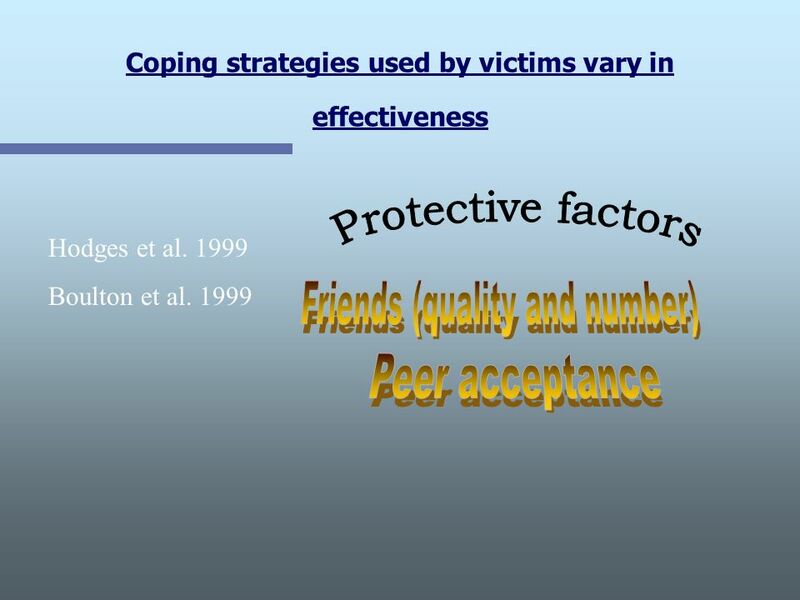 Claire L. Fox, Mary-Louise Corr, David Gadd, Julius Sim Is Domestic Abuse Prevention Education Effective? 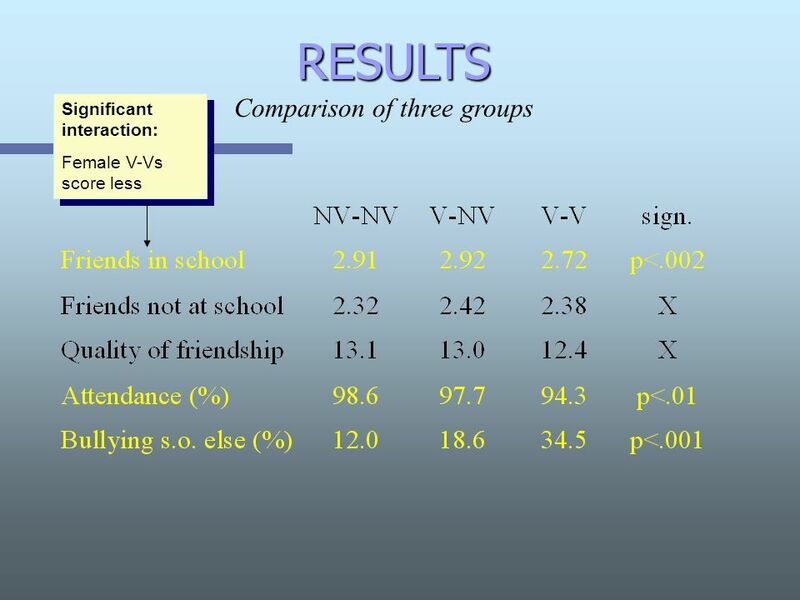 Bridging social and biological sciences Noriko Cable, Mel Bartley, Anne McMunn, Yvonne Kelly University College London SLLS 2010, Cambridge. 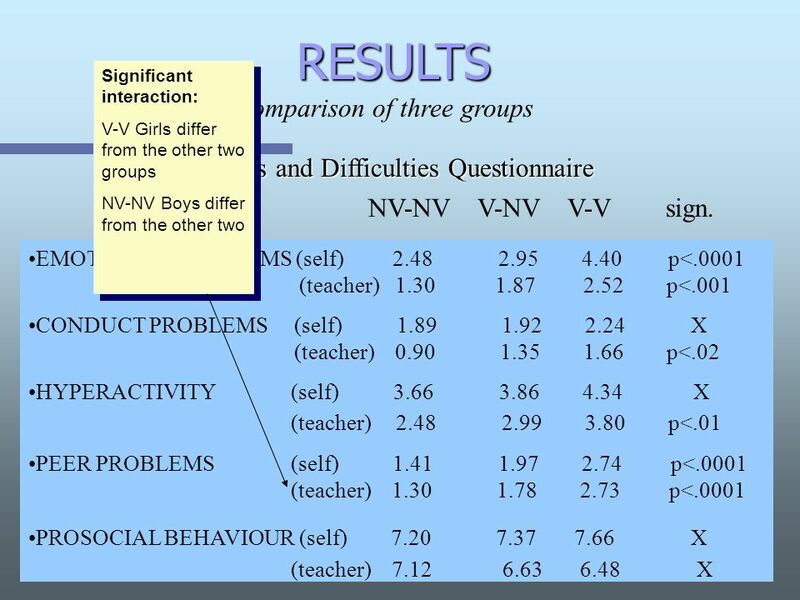 The Sexual Health Needs of Youth in Tobago Paper presented at the Centre for Caribbean Medicine Conference, Centre for Caribbean Medicine Conference, St.
1 The social capital module of the General Household Survey. 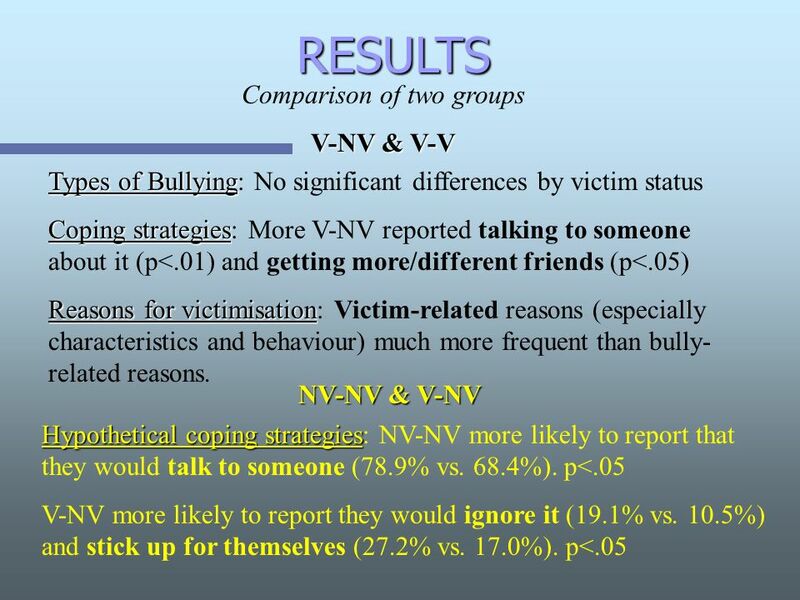 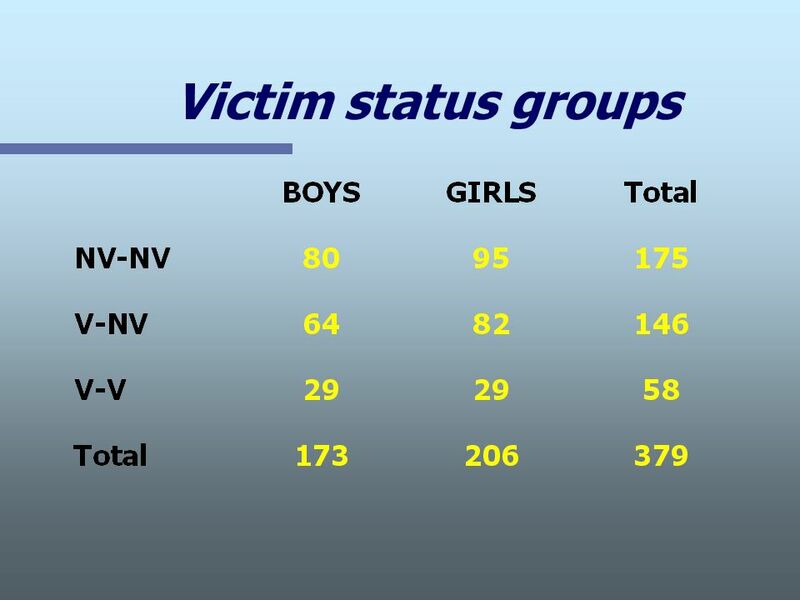 Domestic and Relationship Violence Student Survey.